Summer Camp … Four weeks of farm FUN! Join us at the farm for Summer Camp and we’ll explore the farm together! We offer two weeks of Horse Camp and two weeks of Farm Camp. During your week at Summer Camp we will learn all about the farm, pitch in and do farm chores, play games, do arts and crafts, and have lots of fun! 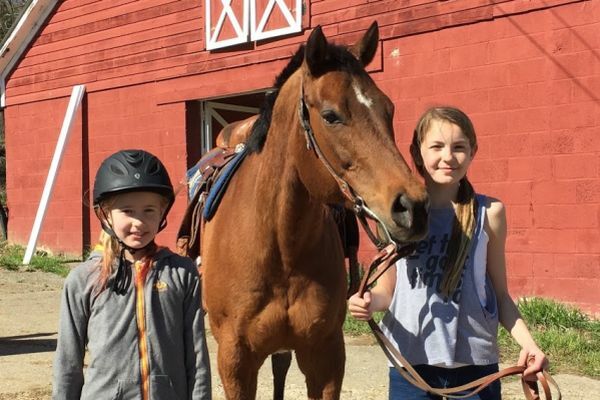 Farm Camp kids will pick crops and get to know the animals in our barnyard, while Horse Camp kids will learn all about handling horses and will learn to ride! Camp from 9:00 – 1:00 is packed with all barn life has to offer: horse care and handling and a riding lesson each day! We’ll horse around with all things equine … hands-on daily barn activities, horse themed crafts and fun horse games too! 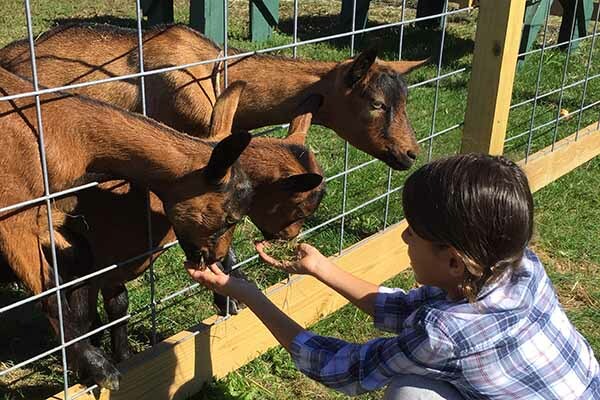 Camp from 9:00 – 1:00 is loaded with all farm life has to offer: learn, hands on, all about our barnyard animals, understand how our food grows and pick crops straight from the field, see the farm equipment and how it’s used. We’ll do farm themed crafts and play farm games too!